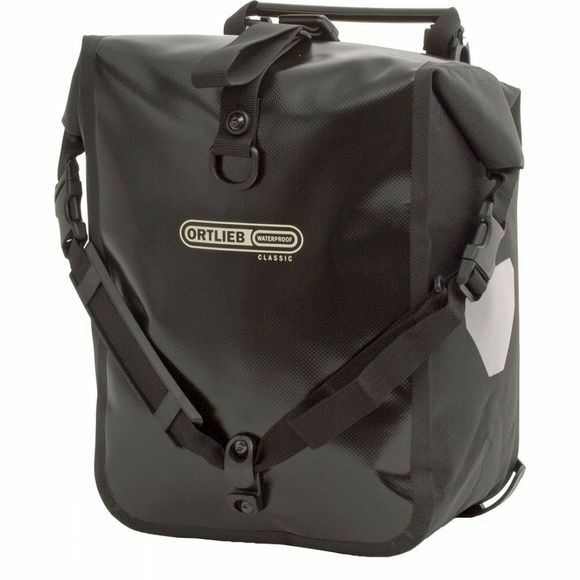 The universal luggage solution for your bicycle: the Ortlieb Front-Rollers. Winners without exception in years of tests in outdoor and specialist magazines, they have also been proved in extreme real-life tests in by highly ambitious bikers all over the world. They transport your luggage on the left and right side of the front wheels respectively, giving optimal weight distribution and best protection. Their robust, tough fabric, ample volume and extremely low weight make them perfect for extended bike tours, as well as daily use from home. The air tight roll closures, the shoulder strap and the Ortlieb QL2.1 system prove that easy solutions are also the most convenient ones.